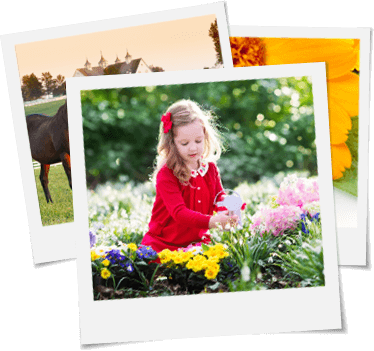 Your local electric cooperative is the most important co-op you need to know about. But, did you know that it is part of a wider co-op family? Electric cooperatives are at work in 117 of Kentucky’s 120 counties, providing safe, reliable and affordable electricity to more than 1.5 million Kentuckians. More than half of the land mass in the United States is powered by electric co-ops. From booming suburbs to remote farming communities, America’s electric cooperatives are energy providers and engines of economic development for more than 19 million American homes, businesses, farms and schools in 47 states. In all, co-ops serve about 42 million people across 88 percent of U.S. counties. Your local co-op is in the best position to serve its own home area because a cooperative—by its very nature—is uniquely suited to understand its own community. Co-ops are built by, belong to and are led by people in their own local communities. That means local control with the interests of local communities in mind. When you have questions about energy in your home, business or house of worship, your local electric co-op is your trusted energy adviser. How many co-ops are there? Your co-op is one of 24 distribution cooperatives in Kentucky and 833 across America that deliver electricity to local consumer-members. Kentucky’s two generation and transmission co-ops, East Kentucky Power Cooperative and Big Rivers Electric Corporation, are among 62 nationwide that make and supply the electricity to local co-ops. In addition, five Kentucky co-ops receive power and oversight from the Tennessee Valley Authority, a U.S. corporate agency that serves 10 million people in parts of seven southeastern states. 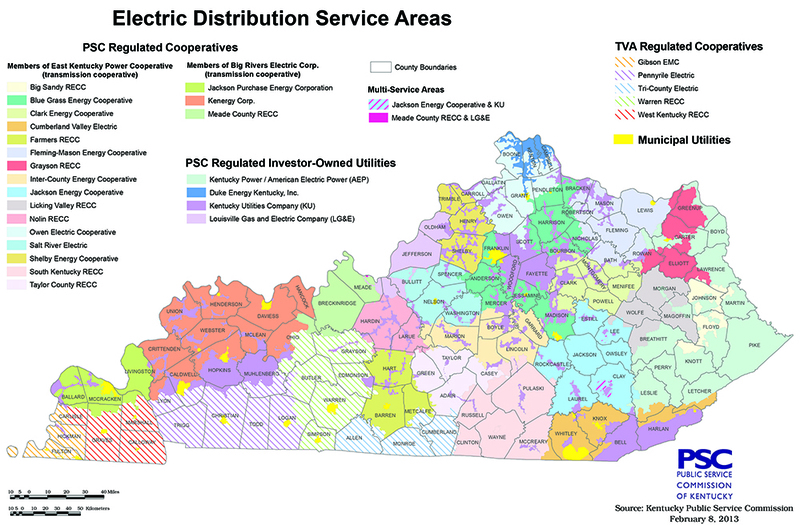 Twenty-one electric co-ops are regulated by the Kentucky Public Service Commission (PSC), which is responsible for fostering safe and reliable service by setting fair, just and reasonable rates. The TVA oversees five Kentucky co-ops. While other utilities serve more densely populated areas—an average of 32 customers per mile of electric line—the more rural nature of co-ops means that they serve an average of only eight consumer-members per mile of electric line. Did you know that Kentucky has the seventh-lowest electric rates in the nation (tied with North Carolina)? Keeping electric rates affordable does not just happen. It takes careful planning and the insight of experts with years of knowledge in technology and energy management. All 26 Kentucky co-ops belong to Kentucky Electric Cooperatives , the statewide association that publishes this magazine. 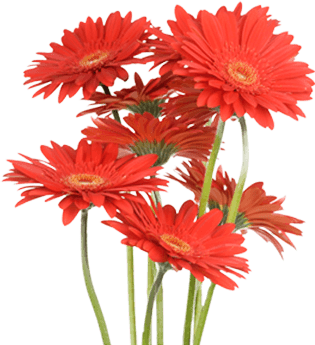 Membership gives the co-ops the opportunity to share information and practical advice. By pooling resources, co-ops encourage innovation and high standards in every facet of their business, including safety training, disaster response, communications and technical knowledge. Kentucky Electric Cooperatives also speaks on behalf of co-ops in providing information to elected officials in Congress and the state legislature; the governor’s office; and federal and state agencies, including the PSC. This advocacy is to alert and educate leaders so they know how government policies affect your bills, and the ability of co-ops to effectively serve you. 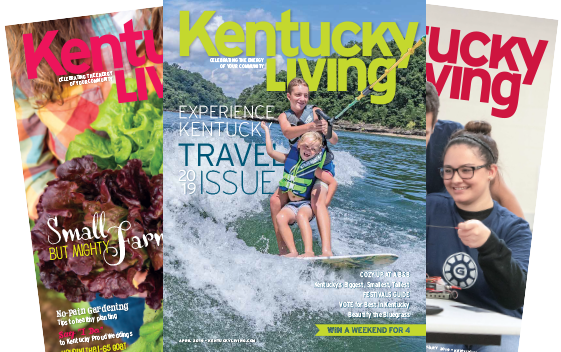 In the center of this issue, you’ll find a special pullout, the 2019 Kentucky Legislative Guide, showing Kentucky’s elected leaders and a list of General Assembly members that represent you. Co-ops work with economic development officials to promote our local communities as great places to live and locate business. With competitive electric rates, a dedicated workforce and an attractive quality of life, Kentucky co-op territory is open for business. businesses. Co-ops work with employers to find the best fit for their operations, utilizing tax incentives and maximizing Kentucky’s central location and superior transportation.